Bonita Bay is made up of luscious landscaping and surrounded by beautiful nature preserves and parks where visitors and residents can enjoy the wonders of nature. Lover’s Key State Park is a 1,616-acre park that is actually made up of four barrier islands. The park is located within the city and just north of Bonita Beach. Visitors to Lover’s Key State Park can enjoy miles of hiking trails and bike paths as well as rent canoes to take out onto the water. This state park is also home to a wide range of wildlife including rabbits, bald eagles and bottlenose dolphins. Spring Creek Park can only be navigated by water with a canoe or kayak launch. Participants are encouraged to explore the vast and natural beauty of Southwest Florida while watching for tropical fish and birds from an observation deck. Estero Bay Park is also a wonderful place to visit for those who want to spend time amongst the wonders of nature. Educational signs on the trails allow visitors to learn about native plants, animals and archeological sites. Riverwalk Park overlooks the Imperial River and offers a wide variety of recreational activities including a children’s playground, picnic sites, tennis courts and a basketball court. The beaches around the Bonita Bay community rival the white sands and the turquoise waters of the Caribbean. One of the most popular beaches is the Bonita Bay Beach Park, which is located just ten minutes from the community. Bonita Beach Park is a two and half acre beachfront park that features a boardwalk and a pristine swimming area. The private location and shimmering waters are the perfect place for families to create lifelong memories. The Barefoot Beach Preserve Park boasts 342 acres of natural land and is one of the last undeveloped barrier islands on Florida’s southwest coast. Forbes ranked the park as the sixth best beach park in the United States in 2013. Is tennis your game? Then head over to the Bonita Bay Club where you can take advantage of their brand new tennis center, which was completely rebuilt in 2010. The tennis center has 18 courts, 13 of which are well lit for night games. The center is well maintained and the Bonita Bay Club is the only club in the country to boast two U.S. Professional Tennis Association Master Professionals on site. If not tennis, then golf. The Bonita Bay Club, which is located within the Bonita Bay community, has three golf courses designed by Arthur Hills to preserve and enhance the natural features of the land. Whether you are looking for a relaxing day out on the course or a competitive and challenging game that weaves through the natural wetland terrain, you are sure to enjoy a great day of golf in Bonita Bay. Bonita Bay residents qualify for membership at the Bonita Bay Club and thus they can take advantage of all the wonderful amenities without venturing far from their luxurious homes. The Bonita Bay Club is home to a 10,000 square foot spa and fitness center. Enjoy a morning Yoga class or an aggressive Pilates class and relax with a professional massage by one of the licensed massage therapists on site. Just outside the front gates of Bonita Bay, residents can indulge in world-class dining and shopping. Some of the finest shopping opportunities that are located nearby include Coconut Point, the Miromar Outlets and The Promenade. Local restaurants offer a wide range of cuisines including Italian, Colombian, seafood specialties, Mediterranean and others in a beautiful atmosphere with stunning views. Some of our favorite restaurants include Inca’s Kitchen, The Fish House, Toast, Ristorante Enrico and others. 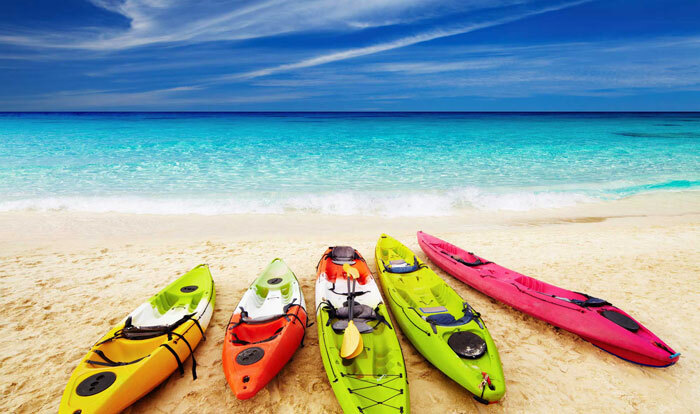 One of the best ways to explore the waters in Bonita Bay is to rent a kayak and set out on an adventure or join a guided tour. Southwest Florida is known for its natural beauty, the luscious landscaping, the clean water and the wildlife that makes its home here. In the same way that kayaking is perfect for exploring the waters a bike is the best way to explore the various trails and parks in and around Bonita Bay. Pack a lunch and extra water, jump on a bike and tour the natural preserves, lakes and state parks that make Bonita Bay one of the most desirable and environmentally friendly developments. The marina provides direct access to Estero Bay and the Gulf of Mexico via the Imperial River. Visitors to the marina can visit unique shops, enjoy fresh culinary creations as well as participate in various themed parties, cultural activities, sunset cruises, parades or entertainment programs. The Everglades Wonder Gardens offers a wonderful collection of Florida wildlife including exotic birds, alligators, flamingos, bears and panthers. The facility opened in 1936 as a wildlife exhibition and a refuge for injured wildlife. It is also home to a natural history museum and a botanical garden. The Art League of Bonita Springs is a wonderful arts organization that hosts local and traveling exhibitions. Locals can also take art classes and enjoy various community events that are held here. As you can tell, Bonita Bay truly has something to offer for everyone. Although the activities and points of interest listed above only make up a fraction of the available amenities and attractions in Bonita Bay, they offer a taste of the unique lifestyle that can only be found in Southwest Florida. If you would like to learn more about Bonita Bay, the local amenities and attractions or about the real estate options in the Bonita Bay community then connect with Dan Humbert and Alberto Quiceno. Dan and Alberto are experts when it comes to Bonita Bay. Contact the team today to learn more about the Bonita Bay lifestyle!